I would like to say a special thank you for ACS excellent support. It has been a great experience. The staff has helped me and guided me through my Job search and now I love my new job and this is only because you provided excellent support and feedback. Thank you ACS! Are you a candidate too? Did you have a great experience with ACS and want to speak about it on our website? share your own experience with us. I have dealt with ACS Recruitment Consultants for over 12 years, and from the first time we liaised, I found ACS to be a very professional, warm and extremely dedicated. Steph, ACS’s Senior Recruitment Consultant/Manager is a consultant you can trust and build a relationship with instantly. She has always been a pleasure to speak to, and totally understands our requirements. Knowledge is a tool to successfully placing candidates into the right positions and for us to feel confident they will be long standing placements, which Steph continues to achieve over and over again. I have no doubt in recommending ACS Recruitment to other firms. Jacqui Wolahan, Business Development Manager - KLS. We have built up a very strong relationship with ACS over time and are continually impressed with the quality of potential employees that they have introduced to our firm. Hampson Hughes Solicitors has experienced significant growth since the firm began in 2009 and ACS have been instrumental in ensuring that we recruit top talent that can assist in supporting our continued expansion. ACS Recruitment provides a very personal service, taking time to understand the business, its organisational culture and the overall needs of the firm so that they can provide best fit candidates and a service that matches the way that we work. Mark Jackson, Unit Manager - Regions & UK Trains Transcare Solution - Arriva Bus. 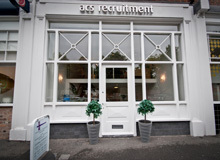 I have always been very impressed with the quality of service I have received from ACS Recruitment. They are reliable, efficient, professional and above all – truthful. This alone sets them out from much of their competition. Carol Head, Business Services Director @ Maxwell Hodge Solicitors. Nicola Rowe, MA, Chartered FCIPD @ FPH Law Solicitors. Throughout six years of working with ACS, I have found Stephanie and her colleagues’ professional, friendly and always willing to help. I have nothing but praise for ACS Recruitment and look forward to many more years of working together. Hayley Roberts, HR Officer @ Canter Levin & Berg Solicitors. I am happy to recommend the recruitment services offered by ACS Recruitment. I have used the firms services over the past few years and found both Steph and the other staff to be extremely attentive and efficient. They were extremely knowledgeable and approachable at all times, and I would have no hesitation in using them again. Are you a satisfied working with ACS Recruitment? Share your own experience working with us.